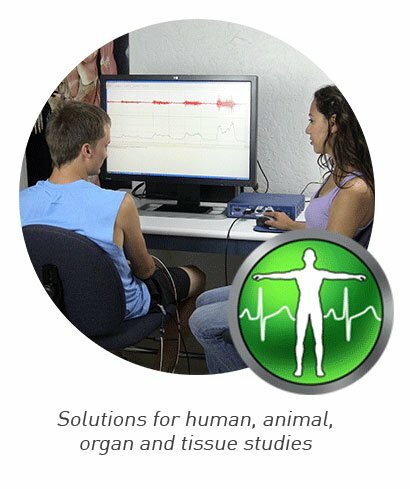 AcqKnowledge® 4.4 Demo software effectively simulates physiological data recording from a variety of systems and transducers and performs most full-feature functions. 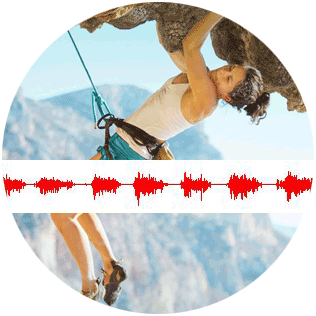 Sample data files include examples recorded using MP Research Systems, BioHarness, Mobita, B-Alert, Epoch, and Stellar systems, from a variety of human and animal subjects. 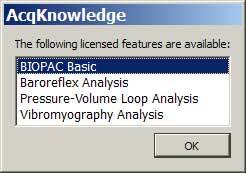 The Demo software highlights the main features of AcqKnowledge software using the included sample data files. 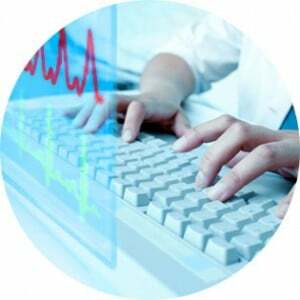 You’ll examine specific sections, take readings, and perform analysis. 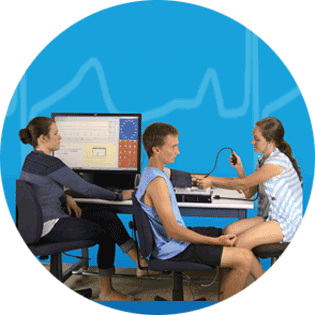 Over 50 sample data files are included for: ECG data, EDA data, EEG data, EMG data, respiration data, and more. 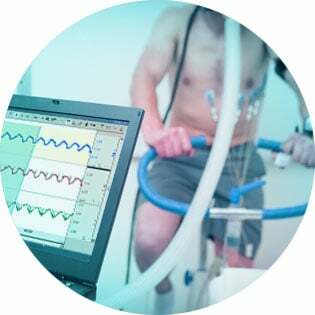 For use with the Automated Analysis Routines—Cardiac Output 1, EDA Events, RER, Cardiac Output 2, Noninvasive Blood Pressure, Impedance Cardiography, and more. Sample data files and pre-configured graph templates can be accessed via the AcqKnowledge Demo’s clear Startup Wizard interface. Sample files are provided to demo Licensed Features: Basic Scripting, Baroreflex Sensitivity (BRS) Analysis, Pressure-Volume (P/V) Loops, and Vibromyography (VMG) Analysis. 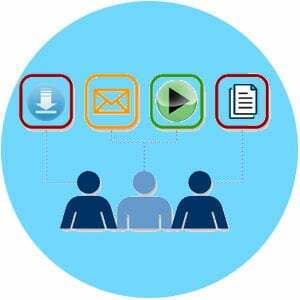 AcqKnowledge Video Tutorials Page—with software overviews and automated analysis walk-throughs. AcqKnowledge Scripts Page—with FREE script downloads and video overviews! 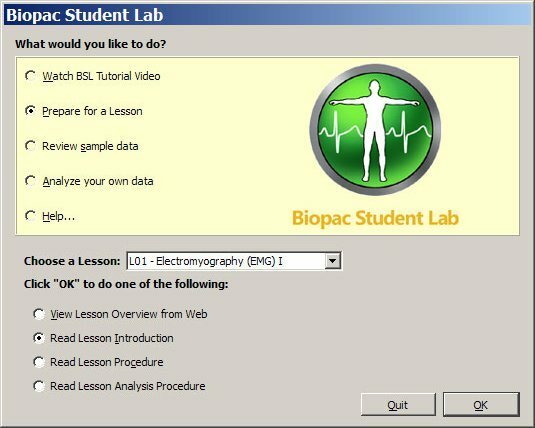 Make your data analysis easier and more efficient with BIOPAC Basic Scripting! Download a self-extracting demo installer for the select OS from the Associated Files link below; login required. Double-click the downloaded demo installer to begin installation. A Wizard will guide you through installation. Launch the AcqKnowledge 4.4 Demo by clicking the desktop icon or choosing “AcqKnowledge 4.4 Demo” from the Start > Programs menu. Demo does not support saving files, opening non-demo files, printing, batch processes. Do not attempt to launch the demo application by double-clicking a sample file icon; the program will crash.